Nico Hohman is the broker/owner of Hohman Homes. He is a contributing author to Realtor Magazine and Inman News, the innovative news source for the real estate industry. Nico is also an adjunct professor of real estate at HCC. Nico was appointed by the Board of County Commissioners to serve a 3-year term on Hillsborough County's Historic Resources Review Board, where he currently serves as Chairman. He is in his second year of 2-year team as a member of the Board of Directors at Greater Tampa Realtors. In his career, Nico has been involved in the transaction, management, brokerage, and construction of over 250 projects throughout Florida, Virginia, and Washington, D.C. with a total value of over $64,000,000. 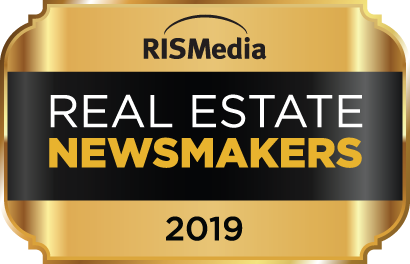 Nico was also named a RISMedia 2019 Real Estate Newsmaker for his forward thinking contributions to the real estate industry. Nico has contributed his time and talents to better the standards of the real estate industry and the local community by leading and serving on committees at Greater Tampa Realtors, Emerging Leaders of Tampa Bay, the University of Florida School of Construction Management Alumni Council, Toastmasters International, Nativity Catholic School, and Johns Hopkins All Children's Hospital Guild. From 2013 - 2017, Coach Hohman was the Head Golf Coach at Jesuit High School of Tampa. Coach Hohman won 4 district titles, 2 region titles, and had three top-4 finishes at the state tournament. Nico has also volunteered his time at Meals on Wheels, Johns Hopkins All Children’s Hospital, A Kid’s Place of Tampa Bay, and Metropolitan Ministries. Nico and his wife, Jessica, live in Brandon, Fla. with their two sons, Brooks and Vance. They also have a miniature goldendoodle named Wrigley. In his free time, Nico likes to think that he could become the World Champion of Public Speaking and could compete in the New York City Run-up. His fastest 5K marathon time is 25:36.0. His lowest round of golf is a 76. If he isn't working, sitting in a comfy chair reading a good biography of famous and historical figures or watching his beloved Chicago Cubs, Florida Gators, and Borussia Dortmund. Thank you for reaching out to Nico Hohman. He will get back with you shortly. The first time I made my son laugh. A round of golf in the morning and then watching a sunset on the beach. Watching the Chicago Cubs win the World Series! Taking a walk through nature without my cell phone. Always have fun. There'll be tough days, but loving what you do will get you through them.